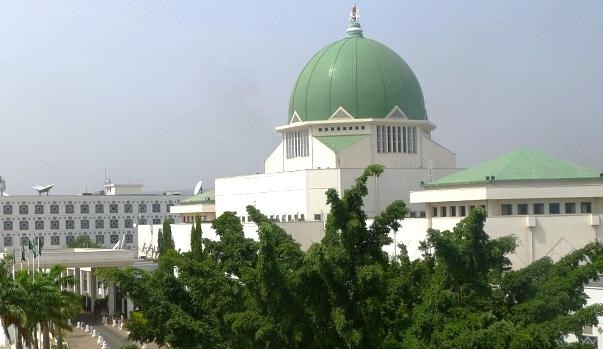 More than a week after both chambers of the National Assembly passed the fourth version of the Electoral Act (Amendment) Bill, the proposed legislation is yet to be transmitted to President Muhammadu Buhari for assent, Bounce News can authoritatively report. It would be recalled that both the Nigerian Senate and House of Representatives had passed the fourth version of the bill on October 23 and 24 respectively. Findings revealed that due to the different versions passed by both chambers, there is need to harmonise and pass the bill before transmitting to the President for his assent. Further checks by Bounce News on the two versions passed by both legislative chambers revealed that they both passed different amendments instead of harmonised version as earlier promised by the National Assembly leadership. For instance, in amendment to Section 91 of the bill which deals with 'Limitation on Election Expenses', the Senate adopted a clause that puts the maximum expenses to be incurred by a senatorial candidate at N250 million and that of House of Representatives at N100 million. However, the House of Representatives pegs the amount at N100 million and N70 million. "As it stands, the bill cannot be transmitted to the President because both chambers are yet to harmonise same. "With the passage of two different versions by both houses, the next step is the setting up of Conference Committees by the two chambers which would harmonise the bill. “This would be our priority upon resumption of plenary on Tuesday," a Principal Officer who spoke on condition of anonymity told our correspondent. Both houses are then expected to adopt the report of the Conference Committee before it is forwarded to the Legal Services Directorate for clean-up and transmitted to the President for assent. If signed into law by President Muhammadu Buhari, Nigeria would have violated the Economic Community of West African States (ECOWAS) Protocol, which stipulates that no member country should amend her Electoral Act, six months to an election. The 2019 election is just three months away. Key provisions of the bill, which seeks to improve the quality of elections in Nigeria include; the legalization of smart card reader for accreditation of voters. This will eliminate manual accreditation of voters. The law also sets new guidelines for political parties on the conduct of direct and indirect primaries, limits campaign expenses by candidates, provides a timeline for the submission of list of candidates and addresses noticed problems related to the omission of names of candidates or logo of political parties.